Click MODE Accessories can now provide that flexibility with a comprehensive selection of products ranging from the humble light switch and socket outlet through to more specialised products dealing with the very latest developments in telephone and satellite products. Providing the means to facilitate the connection of modern communication equipment is as important today as it is to provide the electrical power to operate them. MODE Accessories have been conceived and developed as a high quality, flexible and modern solution to virtually any domestic wiring requirement. 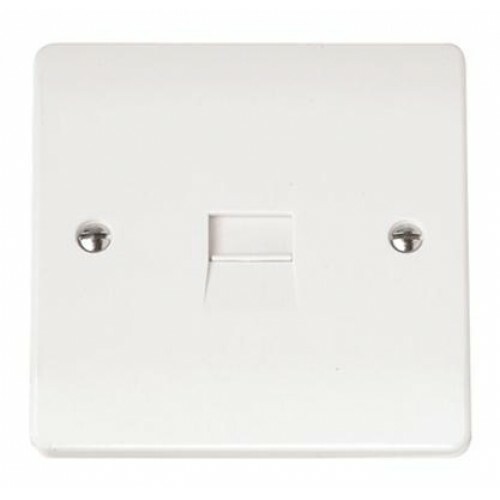 Also available in the Click MODE collection: - Switches, Control Switches, Dimmers, Power Socket Outlets, TV Sockets, 13A Fused Connection Units, Telephone Sockets & Data Sockets. Guarantee: - Click 20 Year No Quibble Guarantee.